We're an experienced, creative and approachable team of public relations and marketing communications experts, based in Yorkshire. Our success over the last three decades is down to the partnership approach we take to our work. We genuinely care about our clients' success and love helping them grow, save money, attract the right staff, build their brands and reputations, generate enquiries and engage the people who matter to them. 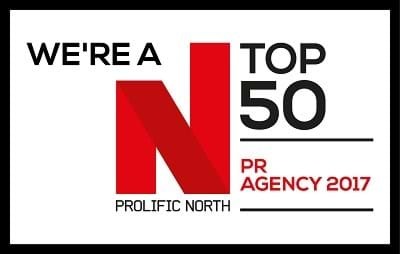 So if you're looking for strategic, creative and straight talking PR, marketing communications and digital support from a team that's focused on generating results, you're in the right place. Our roots are in business to business public relations and marketing communications, and our experience spans local, regional, national and international campaigns for clients in the property and construction, manufacturing and engineering, food processing, professional services and hotel and leisure sectors. There’s only a week to go until we find out if we’ve won a Community Award from the Federation of Small Businesses. Are you missing out on the benefits of incorporating PR into your recruitment strategy?